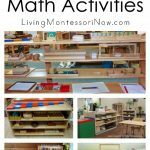 It’s really lots of fun to prepare hands-on math activities for toddlers through early elementary. 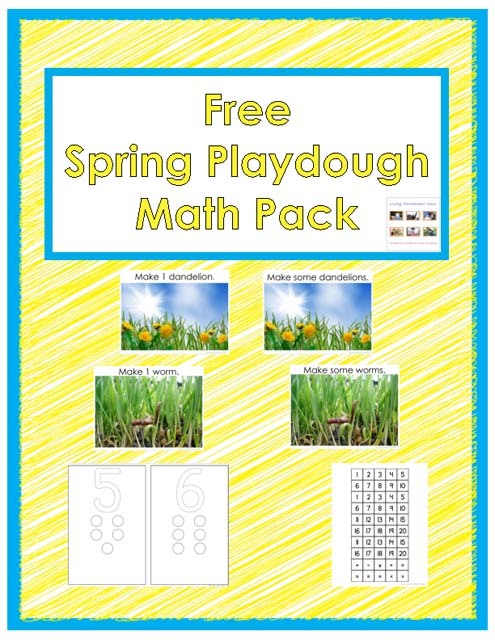 Since playdough is so popular with young children (and great for fine-motor coordination), I’ve been designing some playdough math activities for each season. 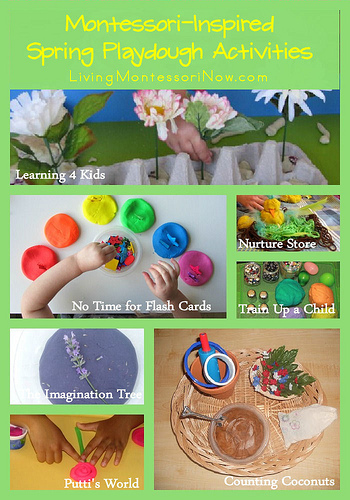 First, my daughter, Christina, and I created some free playdough printables for fall. 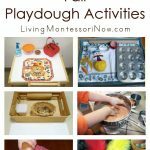 Then we created free playdough printables for winter. 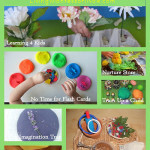 Now we also have free playdough printables for spring. 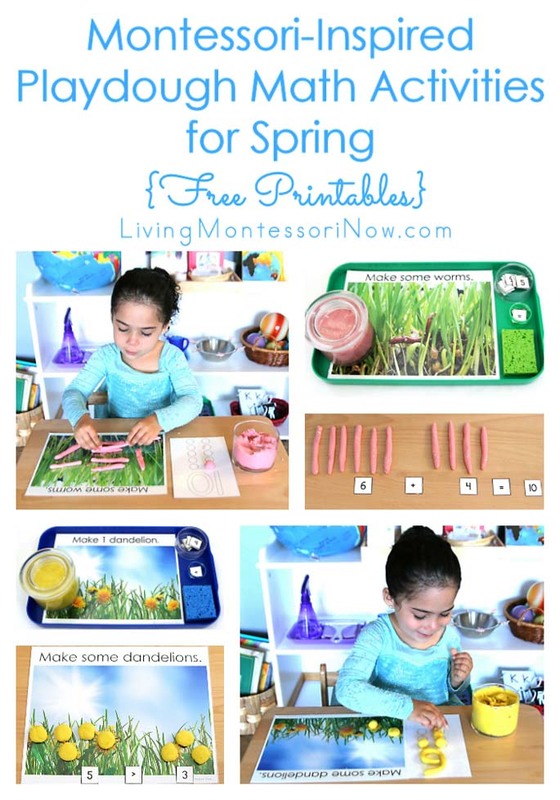 Today, I have some Montessori-inspired playdough math activities for you using the spring math printables. 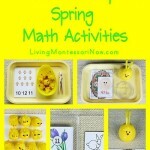 You’ll find the free spring playdough math pack in yesterday’s Montessori Monday post. 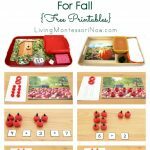 It has printables for activities related to seasons, fine-motor skills, counting, DIY cards and counters, addition, subtraction, multiplication, division, greater than, and less than. Go here to download the free pack. 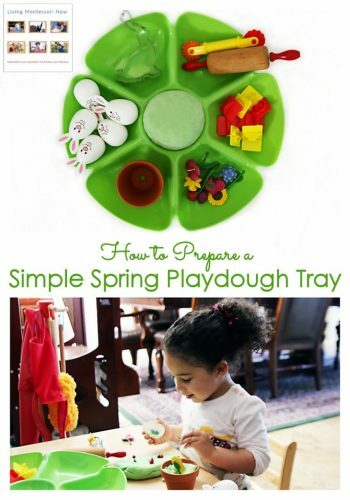 Here are some examples of activities you could have on spring playdough trays. Notice that I didn’t make new playdough for this. The playdough from this recipe lasts for a long time, so my winter playdough was still nice and soft. I just added food coloring to make it pink! 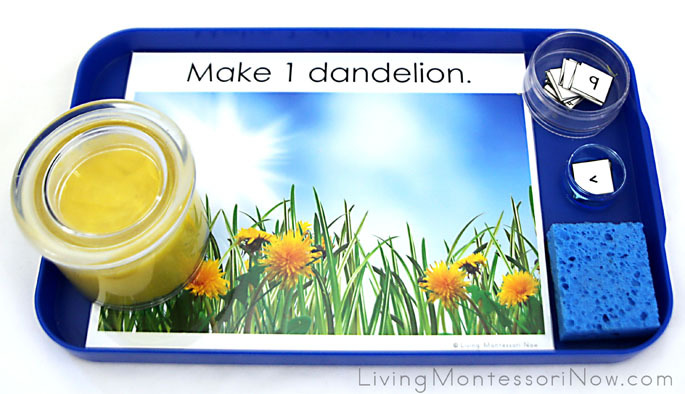 This tray was designed for a homeschool or classroom with multiple ages. 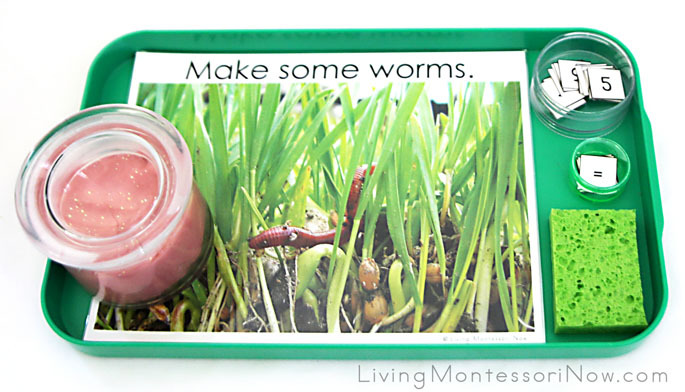 Younger children would generally create playdough worms to make a picture or to make the worms for one number. 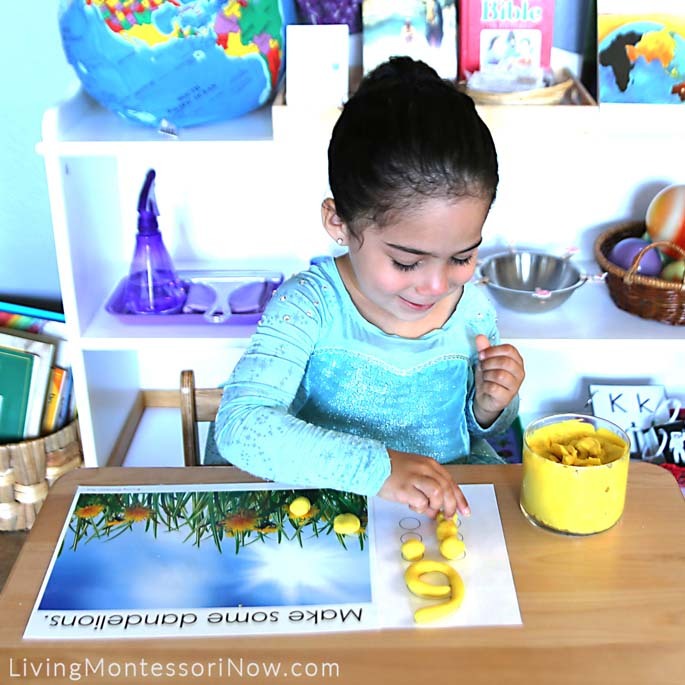 Older children could use the playdough worms for addition, subtraction, multiplication, division, greater than, or less than. If you have one child, prepare the activity to be appropriate for your child’s age and ability level. 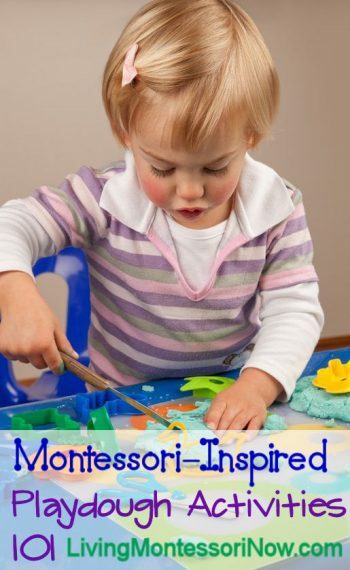 This is a fun variation of Montessori cards and counters. I recommend choosing a number your child is working on. In a classroom, you could have the numbers 1-10 available and let the children choose which number they want to use. Zoey was proud of her work! 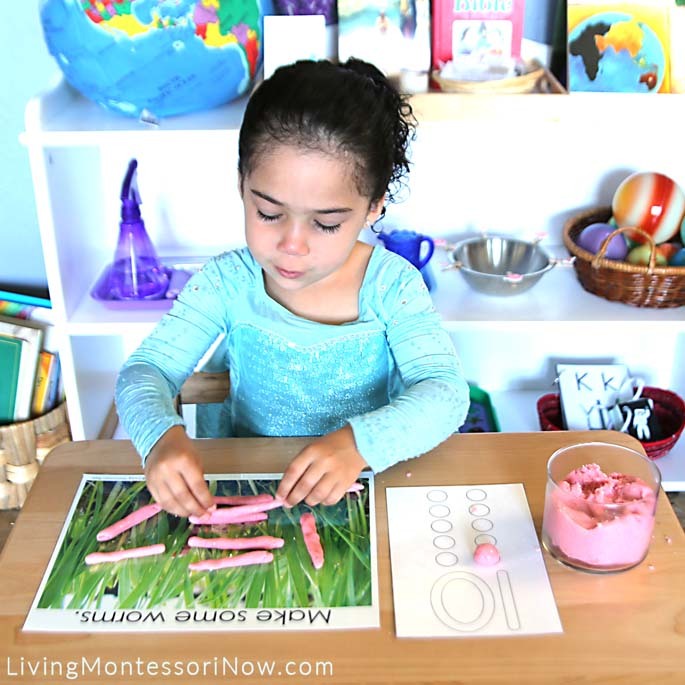 This is a simple hands-on addition activity. 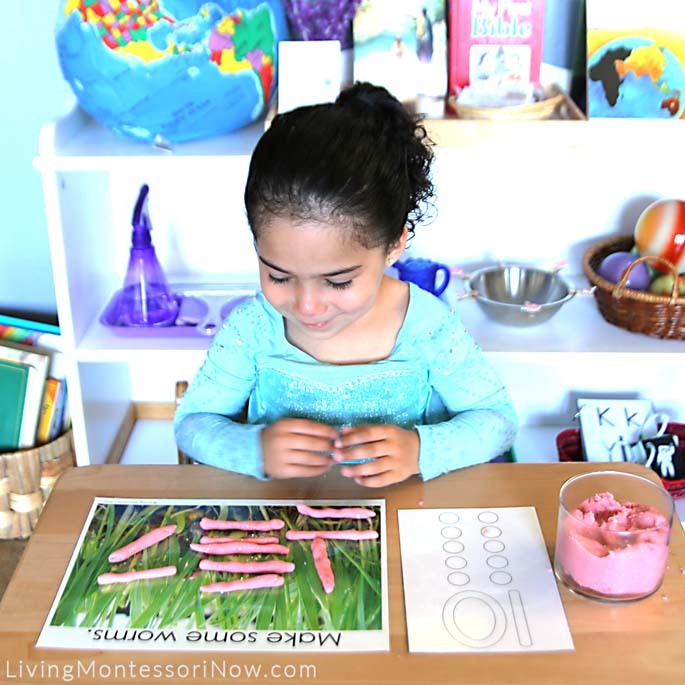 The playdough worms could be used for simple hands-on addition, subtraction, multiplication, or division. 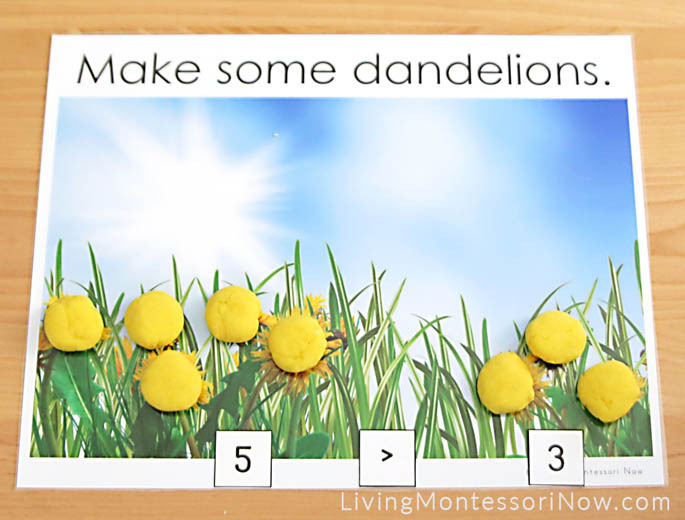 For the dandelion work, Zoey made the number 6 with playdough, made 6 playdough balls, and then flattened the balls slightly on the photo to make dandelions. This is a fun reinforcement for the greater than, less than symbols. If your child is confused by the greater than and less than symbols, be sure to check out my greater than, less than alligator work. Make some worms? sounds positively gross! But look at Zoey, she seems to be thoroughly enjoying it! Children!